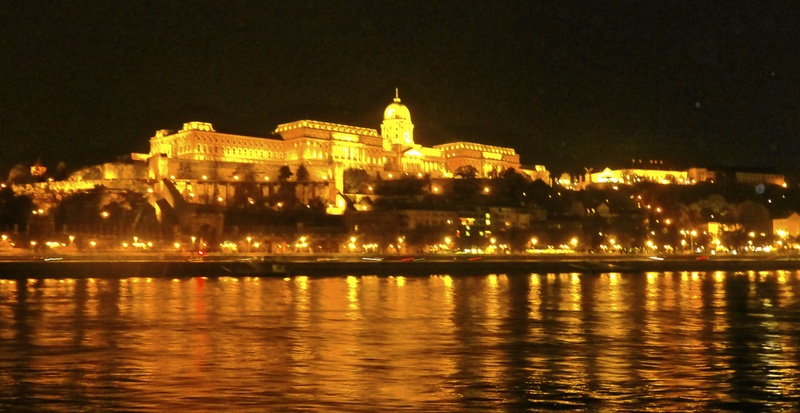 Oh Budapest: The Sites (Part 2) | SimplyBeing. When I arrived to Budapest I didn’t realize how much the city has to offer. With Big Bus tours I discovered that Budapest has so much history, beautiful statues, beautiful scenery, and so many things to discover. The bus took us up Gellért Hill on the Buda side. 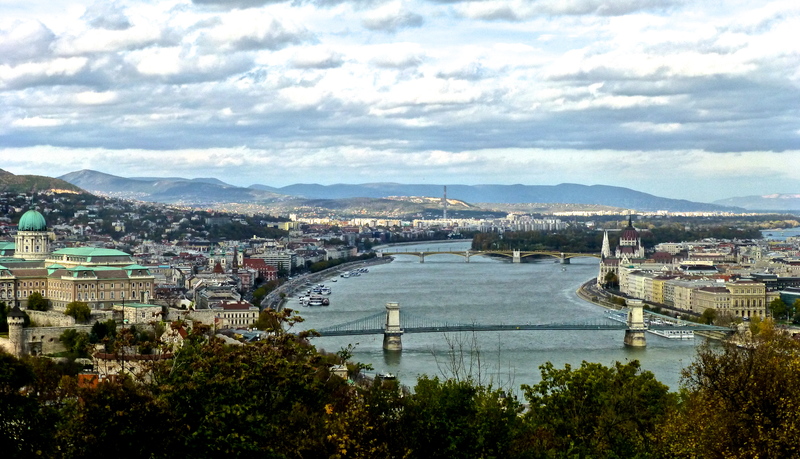 The hill overlooks Budapest and the Danube River. It was named after Saint Gerard who was thrown to death from the hill. It was an absolutely beautiful view up on the hill. You don’t see something so breathtaking everyday. 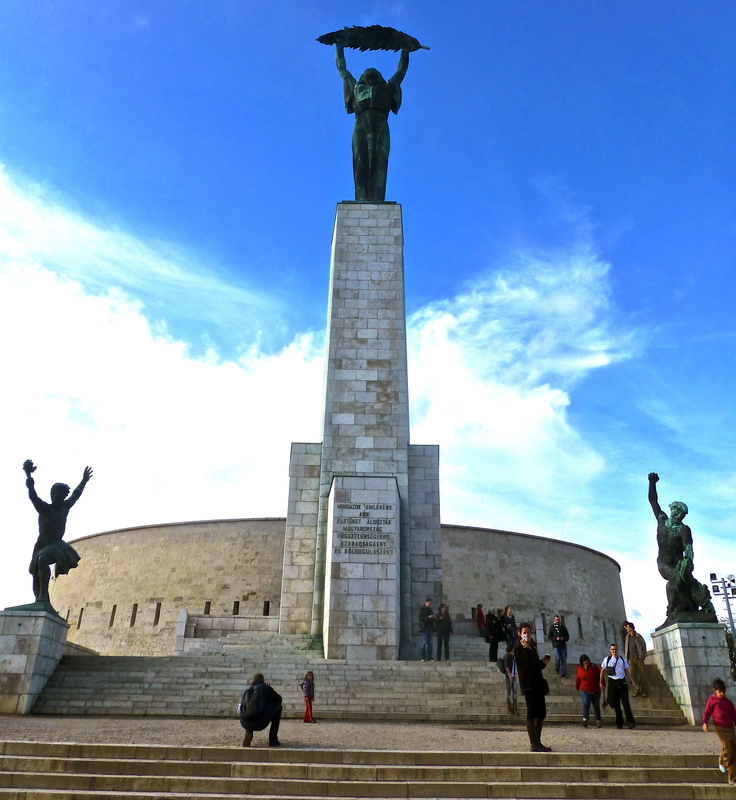 On the top of the hill resides the Szabadság Szobor or the Budapest Statue of Liberty. 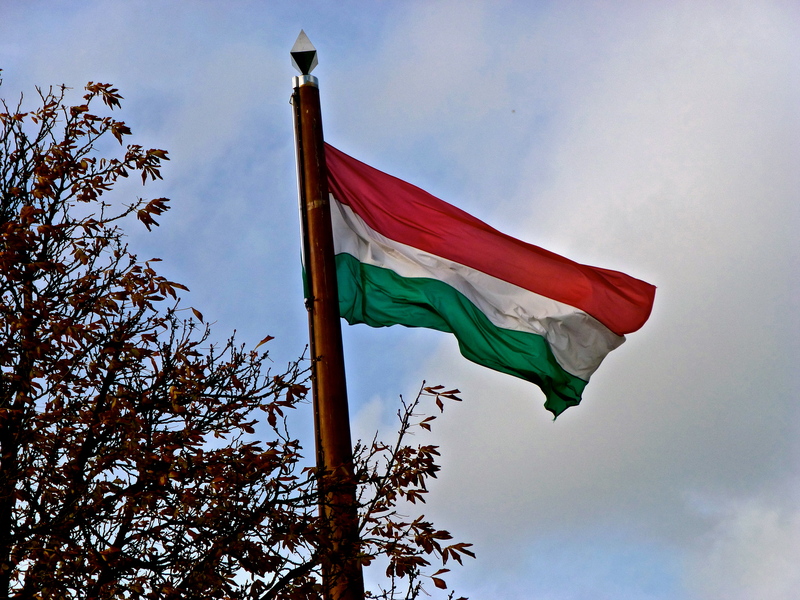 It is there in remembrance of the Soviet liberation of Hungary from Nazi forces during World War II. The statue is beautiful! Before we embarked on our river tour we stopped by the Shoes on the Danube Promenade (on the Pest side,) a memorial that honors the Jews who were killed by the Arrow cross militiamen in Budapest during WWII. The Jews were shot at the edge of the water so that their bodies fell into the river, but before being shot they were asked to take off their shoes. 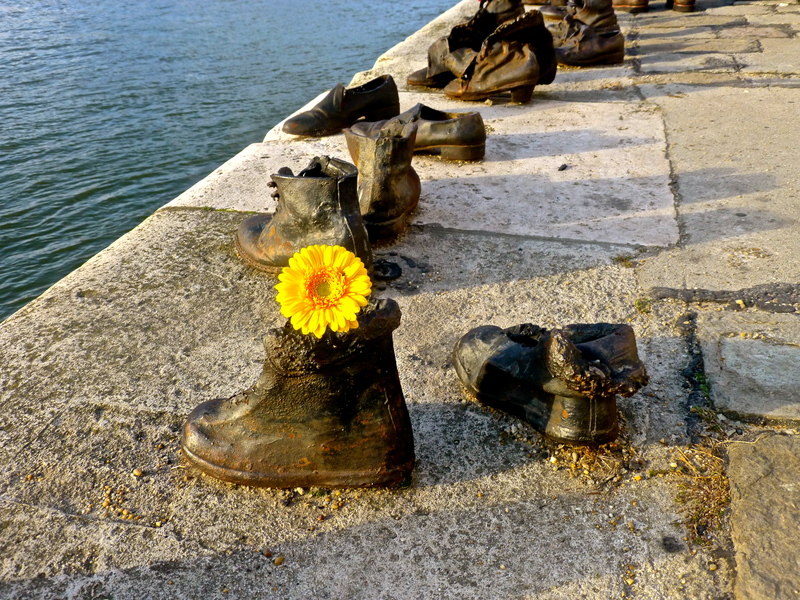 The shoes in the memorial represent the shoes of victims left behind on the bank. It was a beautiful memorial. I really had to take a moment to take in how horrific it must of looked to have so many shoes on the promenade and dead bodies flowing on the river…a terrible image. We were about 1.5 hours early to the river tour. After the monument and deciding to take advantage of this extremely fancy bathroom in a hotel restaurant, we went to go wait inside the boat. We got their to find out we had to wait inside this restaurant boat until it was time to board the tour boat. At this point I had the most intense headache and I was beyond exhausted. We finally board the tour boat and decide to stay inside because it was getting chilly outside. The boat ride was so soothing that we each ended up taking a small nap. The river and buildings looked amazing at night! The lights on the buildings and bridges shined so bright. 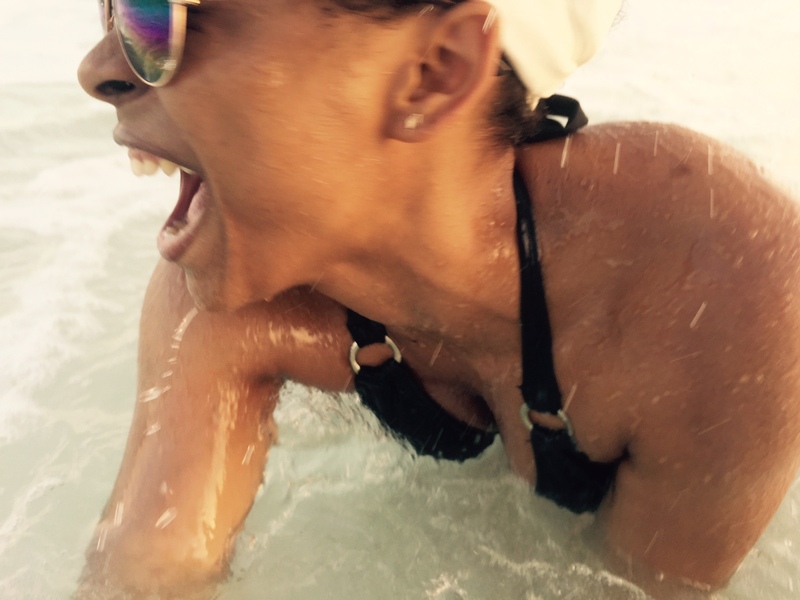 Throughout the boat ride the lady talking through the voiceover or recorded (whatever it was) had the most monotone driest voice ever! No wonder we took naps! I couldn’t even pay attention. Towards the end of the tour the boring lady stopped talking and some other lady started singing Bob Marley songs. That was pretty funny because we pictures dome Hungarian lady going in on these songs. The annoying drunk couples singing along WAS NOT funny and didn’t help the ridiculous headache I had. This entry was posted in Semester in Belgium, Travels and tagged abroad, adventure, Budapest, danube river, Europe, experiences, history, Hungary, journey, photographs, sightseeing, student, study, study abroad, travel, trip to budapest, walking on November 8, 2012 by SimplyTiff.